According to the American Cancer Society, 49,670 people will get oral cavity or oropharyngeal cancer this year, and men are twice as likely to get these cancers than women. Luckily, oral cancer screenings are part of the dental cleaning procedure, along with removing plaque and tartar to prevent tooth decay. 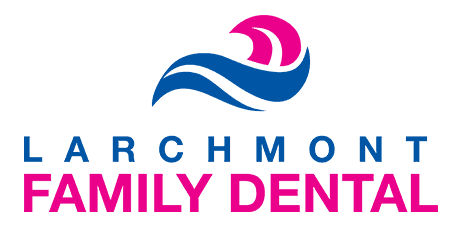 Avi Malkis at Larchmont Family Dental provides patients of all ages with professional teeth cleanings in the Westchester County of New York, including Larchmont, Mamaroneck, Harrison, and New Rochelle, New York. To schedule a dental cleaning, call today or book an appointment online. How can getting dental cleanings prevent oral cancer? An oral cancer screening is part of the dental cleaning procedure. During every teeth cleaning, Dr. Malkis asks you about changes in your medical history and whether you’ve been experiencing any new or unusual symptoms. Then, Dr. Malkis performs a physical examination in which he checks your entire oral cavity, including your lips, cheek lining, gums, tongue, and the floor and roof of your mouth. He also examines your throat, including your tonsils. Finally, Dr. Malkis checks your jaw and neck for any lumps or abnormalities. If there’s any suspicious tissues, lumps, or symptoms, Dr. Malkis may recommend a biopsy to learn more about the cells. If the cells are cancerous, treatment for oral cancer is similar to how other cancers are treated: With surgery to remove the growth, followed by radiation therapy or chemotherapy to destroy any remaining cancer cells. The American Cancer Society recommends that you get an oral cancer screening every three years if you’re over the age of 20 and every year if you’re over 40. Oral cancer can be life-threatening, but early diagnosis and treatment can result in better treatment outcomes. Dr. Malkis offers oral cancer screenings as part of every dental cleaning. To schedule a cleaning, call the office or schedule an appointment online.